Isla de Pascua lies 3,680 km from the mainland of Chile and 4,050 km from Tahití, and for this reason there are a number of products which are very expensive. You are recommended to take camera film, light clothing, sneakers and sunglasses with you. There is no public transport, but you can rent vehicles, motorcycles and horses in Hanga Roa. You can change dollars or Chilean pesos at the BancoEstado, which is open from 8:00 to 13:00 hrs. There is also a cash dispenser at the bank. Emergencies on the island are dealt with by the Sexta Comisaría de Carabineros (police), the Fire Brigade and the Hanga Roa Hospital which is equipped to handle emergency cases. The climate of the island is maritime sub-tropical, with an average temperature of around 18ºC. Rain may fall at any time of year, although the wettest month is May. 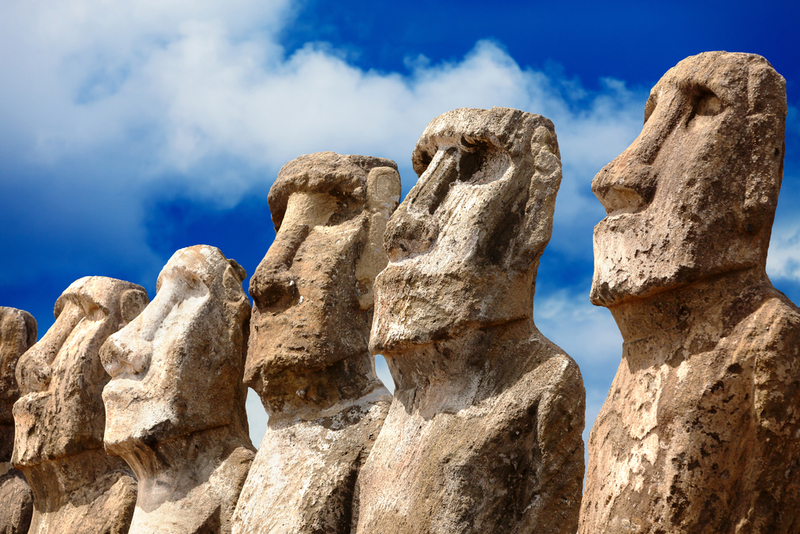 Isla de Pascua is two hours behind mainland Chile, and six hours ahead of Tahiti in summer, seven in winter. Isla de Pascua has only three beaches where you can go diving and spearfishing – remember that there are sharks and take suitable precautions. The water there is very clear, up to 50 meters deep, and the temperature is 22ºC.